A timber-framed structure with exposed timbers. The building is in two main sections of differing dates. 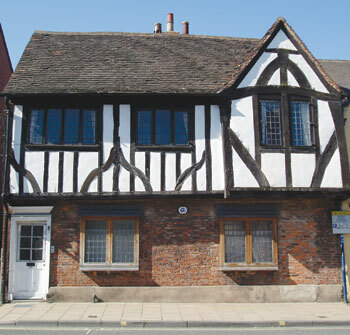 A fifteenth century structure stands aligned north-south at right angles to Walmgate and presents its north gable to the street. To the east is a late sixteenth century range. The form of the roof truss has been used to date the earlier block, using similar examples in York as a guide. In the same way the sixteenth century addition has been dated by comparison with other roof truss examples, and also by the ogee-shaped timber braces to be seen on the north front of the first floor. 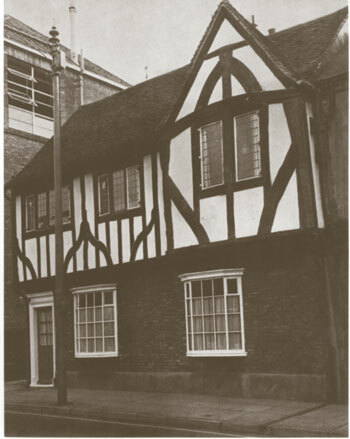 Similar late sixteenth century framing may be found in Goodramgate and Patrick Pool. Alterations and repairs over the years have resulted in the rebuilding in brick of the ground floor front wall and the insertion of shallow bay windows. A doorway has also been created at the east end of this elevation. All this work has been carried out since the 1939-45 war. Though brickwork has replaced decayed timber-framing, the remaining framing and roof structures are thought to have a considerable potential life-span.